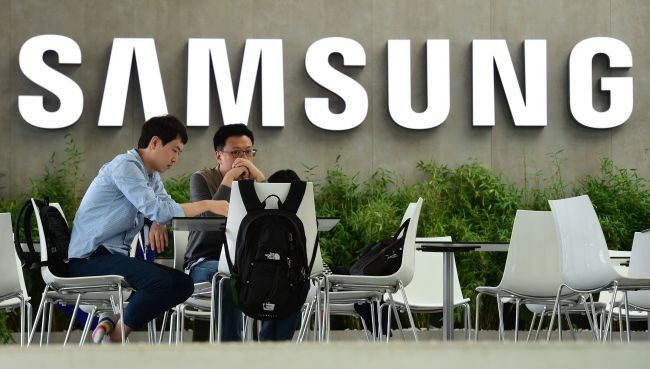 Samsung Electronics Co. maintained its top global smartphone maker title by taking 19 percent of the market share in the third quarter of 2018, industry data showed Friday. The South Korean tech giant shipped 72.3 million units of smartphones over the July-September period, according to the data by industry tracker Counterpoint Research. This is down from 83.3 million units posted in the same period last year, when Samsung took up 21 percent of the market. China-based Huawei Technologies Co., on the other hand, increased its market presence to 14 percent in the three-month period, compared with 10 percent posted last year, the latest findings showed. The Chinese firm shipped 52 million units in the third quarter. Samsung's U.S. archrival Apple Inc. accounted for 12 percent of the global market over the cited period, the data added. Two more Chinese brands were included in the top-five list in terms of global market share, with both Xiaomi and OPPO accounting for 9 percent, respectively.